← Christmas and New Year at Roath Park, Cardiff. Call yesterday from Christine who lives in Llanmartin; she walks the Wilcrick area fairly regularly. 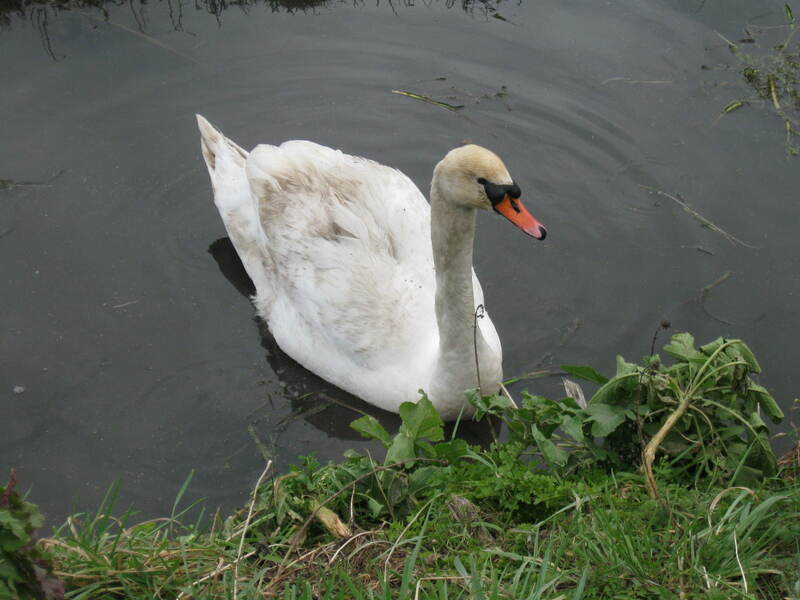 She was concerned about a lone adult swan in a reen in a very remote area of the levels. I promised I would visit today, and as things have turned out, just as well I did. 1. His location is immediately across the road from a shoot…. 2. He is somewhat scruffy having very obviously had fairly recent contact with some form of oil; one can only imagine/guess where that might have come from…! 3. But most seriously of all, and enough on its own to justify taking him into care is the fact he has quite a prominent swelling on the right hand side of his face (actually within the mask area – it is just about visible in the photograph). This suggests an infection affecting the sinus region. This definitely calls for specialist veterinary intervention. National Swan Sanctuary; here we come. Watch this space!